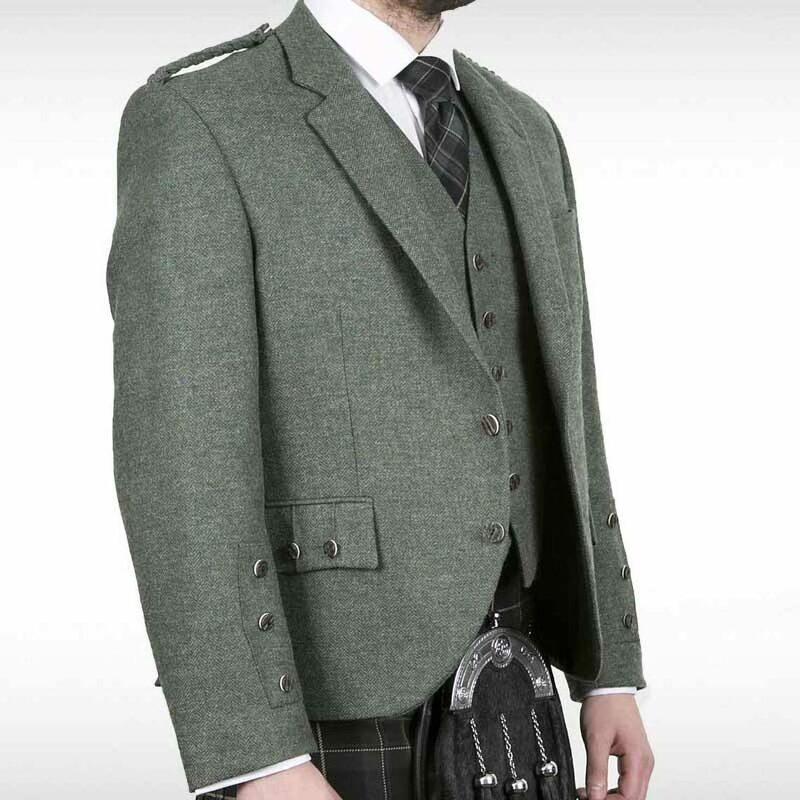 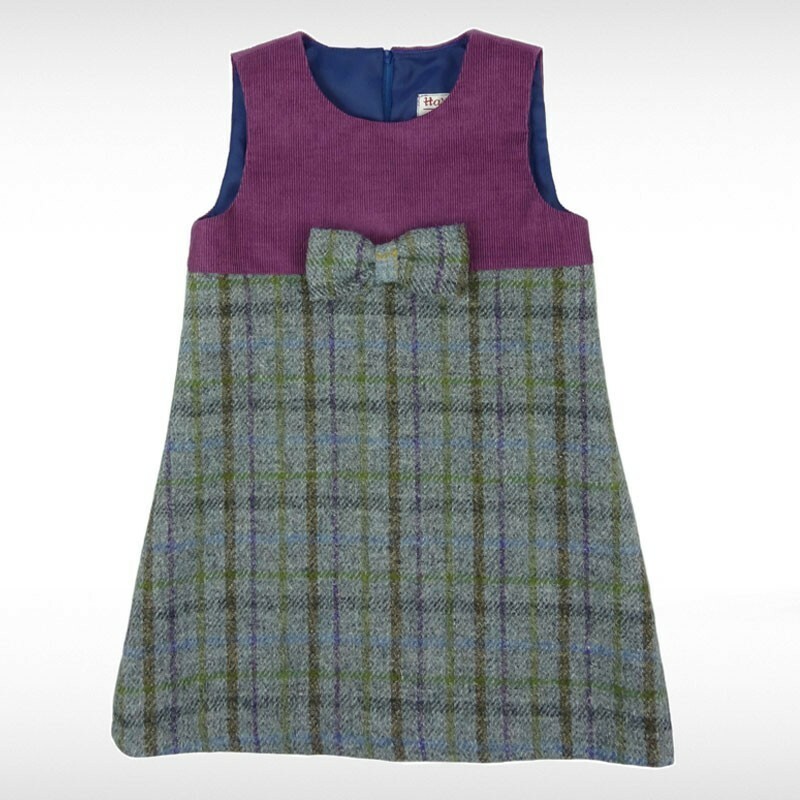 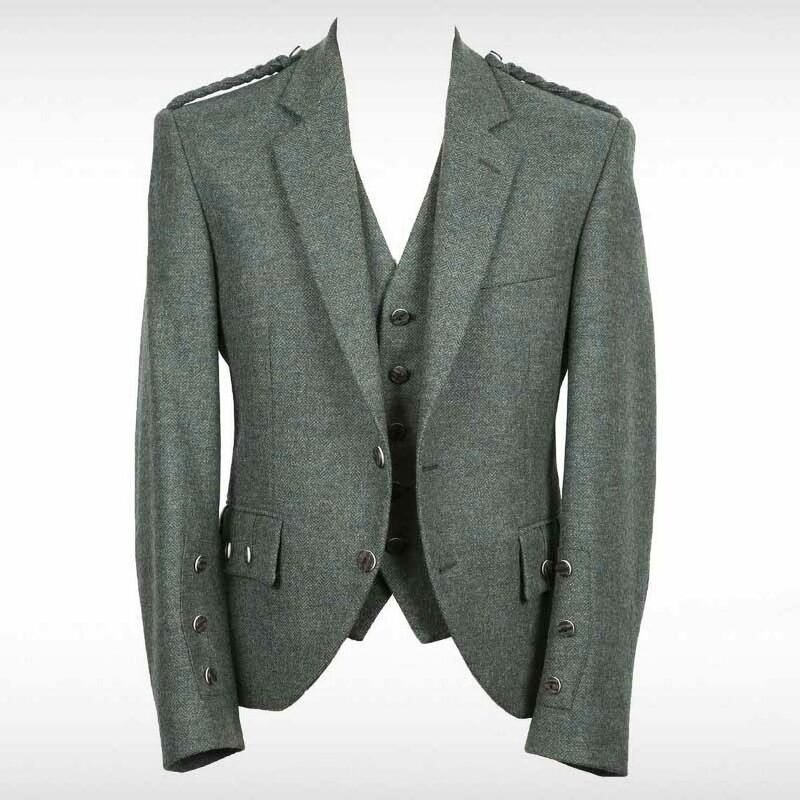 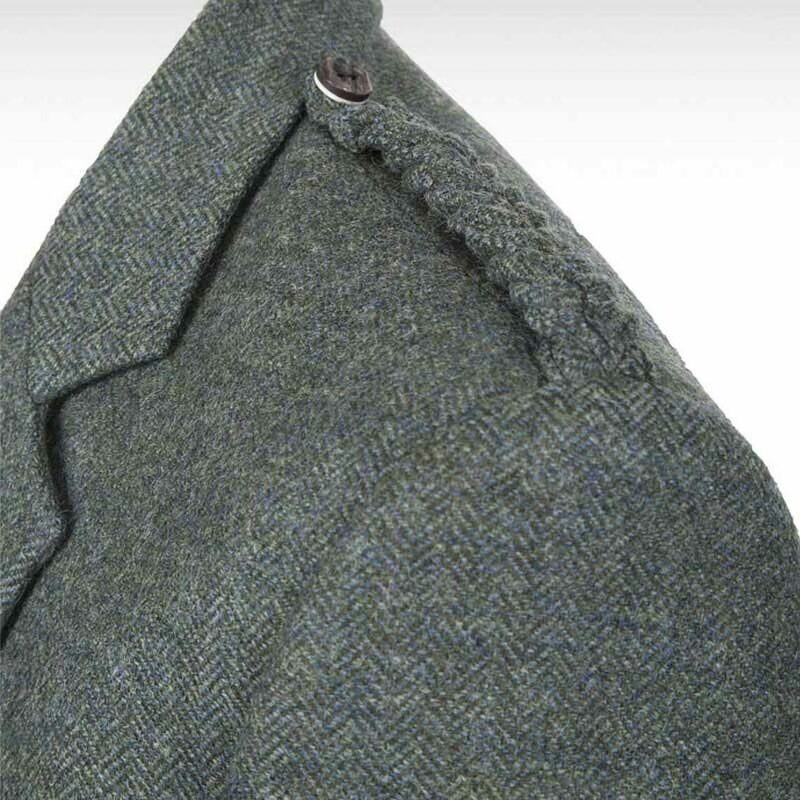 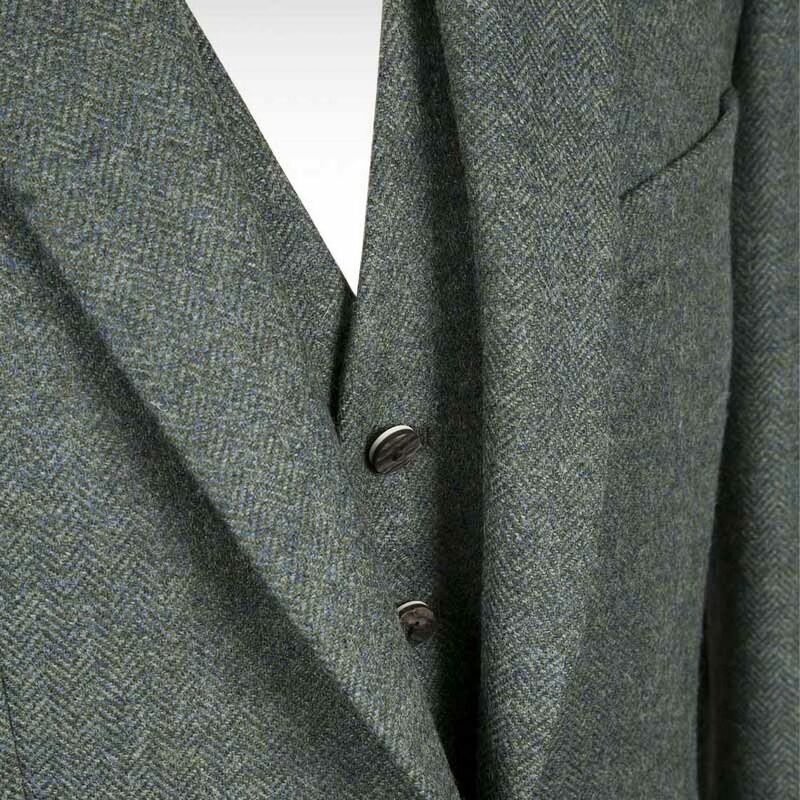 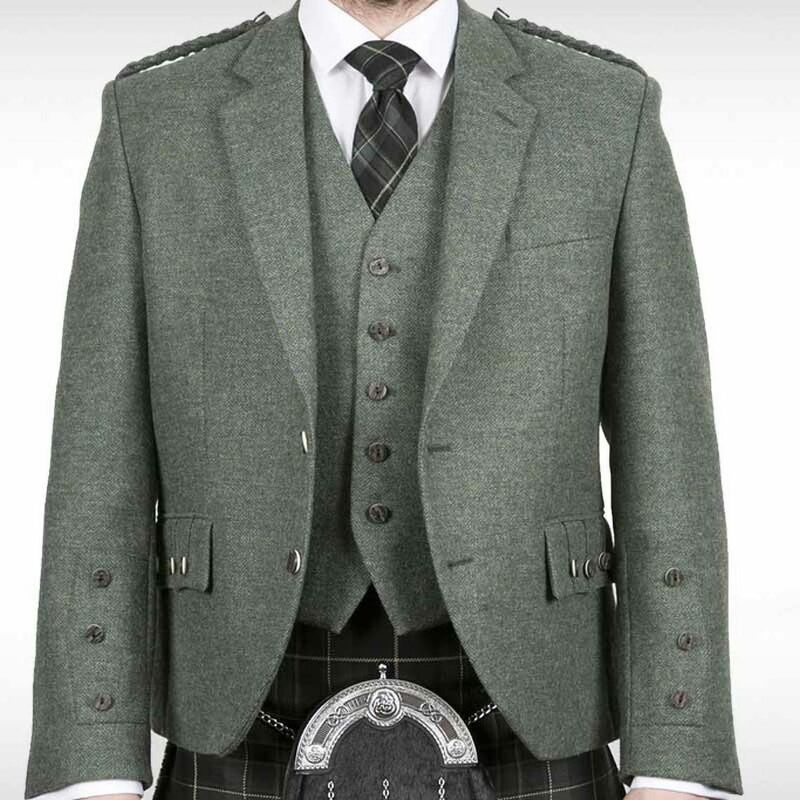 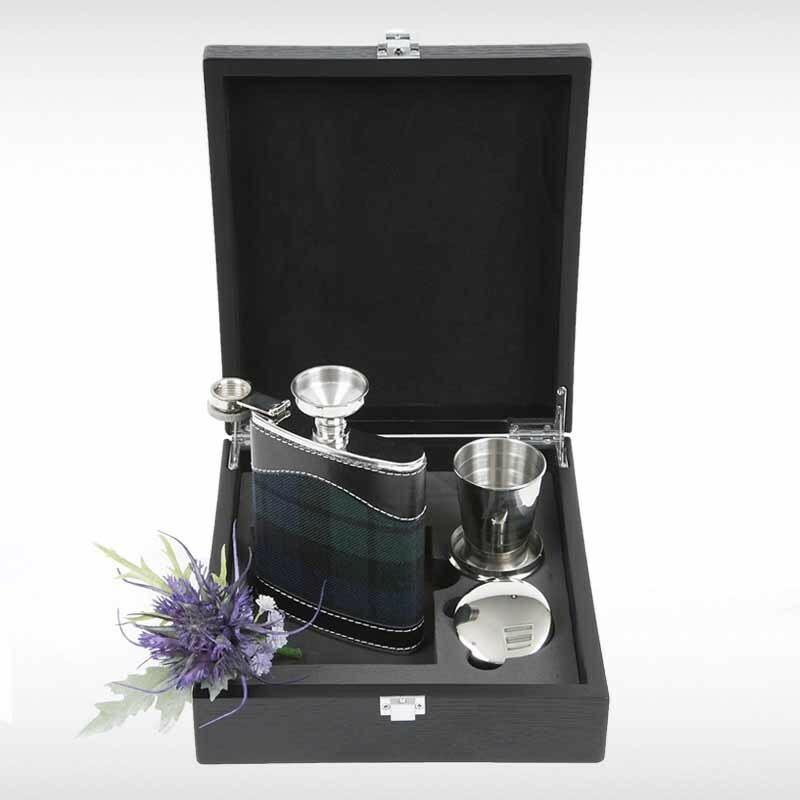 Crail jacket and waistcoat set in a dark green tweed. 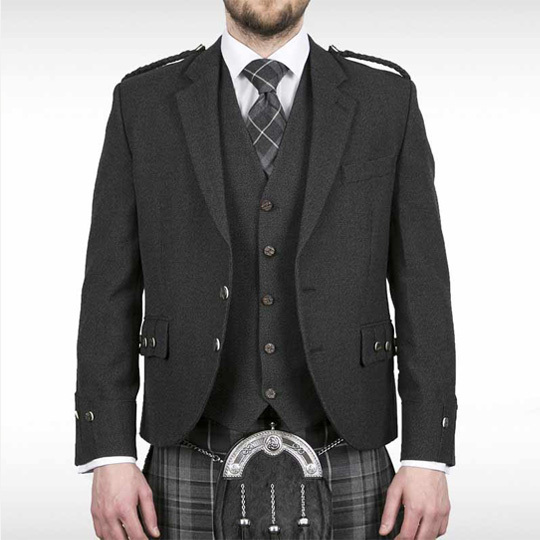 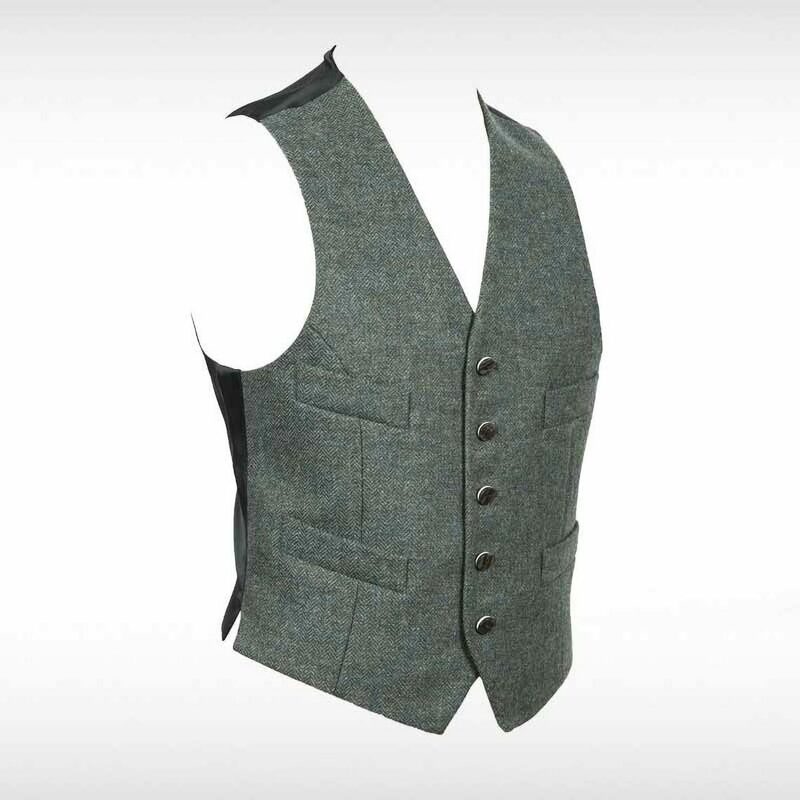 Single breasted jacket with two button closure and matching five button waistcoat, both in faux hornback buttons. 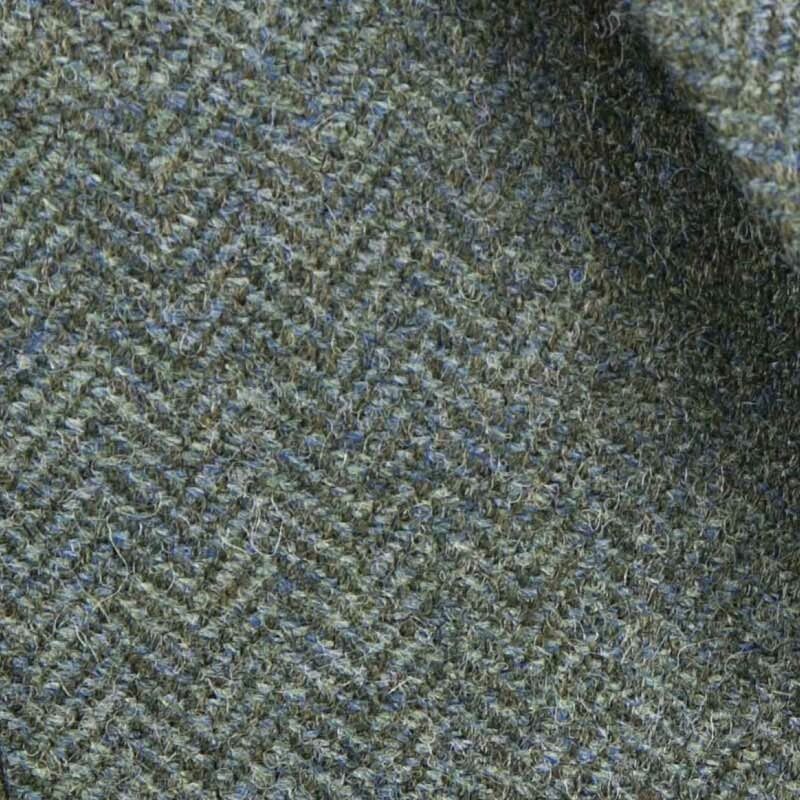 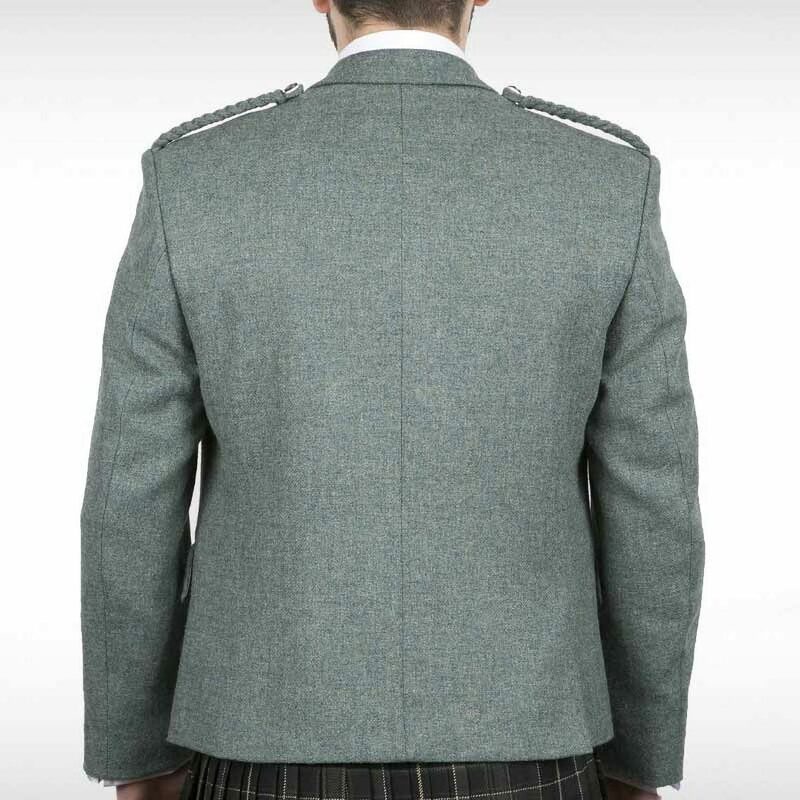 Dark green fabric used on the back of waistcoat and in lining.